Read more about how we use design to make a thriving ecommerce site a reality, or contact us now to see how our team can help with your ecommerce goals. 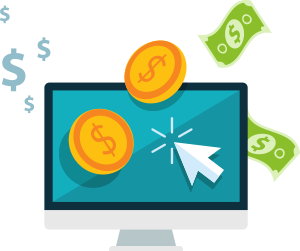 We build sites with seamless checkout processes, multiple payment options, and SSL security so that your visitors can move from browsing to buying without any stumbling blocks, ultimately improving your conversion rate. With dozens of ecommerce platforms on the market, it’s difficult to know which one is the best fit for your unique business. We focus on your individual needs and connect you with the platform that best aligns with your budget and business goals. More online shopping takes place on mobile devices than on PCs, so if your site isn’t optimized for mobile, you’re losing sales. 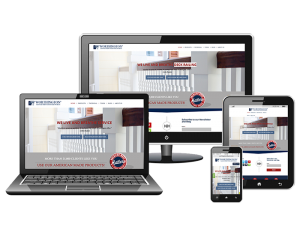 We often recommend a responsive design to ensure that your site looks great and is easy to navigate no matter what size screen it’s viewed on. 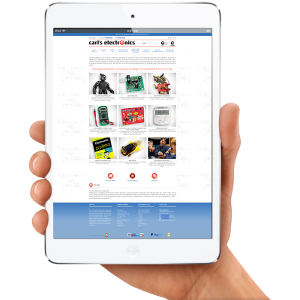 We also offer m-dot and adaptive web sites for special cases. We will research and recommend the shopping cart that has the best reporting features for your business so you can track the metrics that are most important to you. We can even implement additional reporting features when necessary. Who doesn’t love a good deal? We can set your site up so that visitors can easily find and redeem coupons, gift cards, and rewards program discounts, giving them additional incentives to become repeat customers. Abandoned carts don’t have to mean lost opportunities. We help you reach out to shoppers who placed items in their cart without buying by integrating marketing automation systems with your site, a strategy that is proven to increase sales. Consumer reviews boost your credibility and convince shoppers they’re making a good purchase. That’s why we highlight product reviews, testimonials, and social sharing buttons on many of the sites we build. If your business has videos– whether they’re on Facebook, Vimeo, Vidyard, or any other platform– we’ll incorporate them into your site design and make sure the final product looks great. We build sites that integrate with all major email marketing programs, including MailChimp and Constant Contact, so you can easily capture customer email addresses and send targeted marketing messages to encourage future purchases. Accounting is enough work without struggling to reconcile your bookkeeping program with your ecommerce site. We integrate the sites we build with your in-house accounting and other bookkeeping platforms to increase accounting efficiency. If your customers need your product on a recurring basis, we set up subscription options so that they can make repeat purchases without any extra hassle. If you sell to both consumers and wholesalers, we can create separate online experiences with different pricing so that there’s no confusion. If you have an existing logo or other images that you want to incorporate into your new site design, we can do that. We also have the capabilities and the creativity to develop new graphics that fit your brand and convince visitors that your company’s worth buying from.